I'm proud to work for a reputable bank like U.S. Bank, and you can trust me to do what's right for you. So give me a call at 949.515.5338. Buying a home is a big milestone, and you need to have the right people on your side in order to make the best decisions. At U.S. Bank, our experienced mortgage professionals can help you understand your loan choices, explain the loan application process, and review closing procedures and costs. Call our Newport Beach office at 949.515.5338 to learn more about our home loans. If you’ve decided not to search for the perfect home, and are going to build it instead, there’s still one search ahead that you’ll have to deal with—finding the right builder. At U.S. Bank, we can do more than just guide you through the home financing process, we can also provide helpful tips about choosing a home builder. Call 949.515.5338 to learn more. As your mortgage needs change over time, U.S. Bank will be with you every step of the way to provide home loan guidance. We offer home loan refinancing that may decrease your monthly payments or reduce the time it takes to pay off your loan. If you’re trying to decrease your debt, you may consider cash-out refinancing options to take care of expenses. Call 949.515.5338 to learn more. When you apply for a mortgage at U.S. Bank, buying your first home could be right around the corner. We can teach you about the home loan process, discuss our mortgage products, and show you online mortgage calculators that can help you compare interest rates and monthly payments. Call 949.515.5338 to make an appointment today. 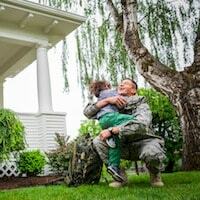 VA Mortgages are designed to assist service members like you in achieving the dream of homeownership. 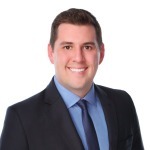 U.S. Bank in city participates in this program, which offers a streamlined mortgage application process, little or no money down required at closing, and no mortgage insurance premiums. Call 949.515.5338 to learn more. Ready to cross the threshold of your new home? At U.S. Bank in Newport Beach, our mortgage professionals can help you choose the right home financing option. Whether you want to put more down, so that you can have lower monthly payments—or vice versa—we have several mortgage choices for all types of buyers. Contact us at 949.515.5338 for more information.